Shakeology Boosts are mix-ins to Shakeology (or any beverage of choice) that allow an individual to customize a shake for their own specific needs. 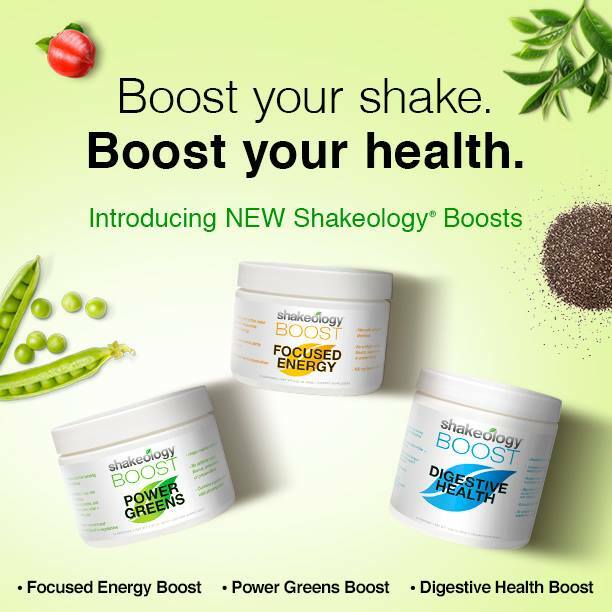 Whether you need more energy, extra veggies, need some help with digestion and regularity, or all of these, Shakeology Boost can help! What Boost options are available for purchase? Each Boost option comes with 20 servings and is for sale as either a one-time or Home Direct order. This unique formula is designed to deliver a wholesome boost of energy. The energy comes from 100 mg of natural caffeine from guarana and green tea. 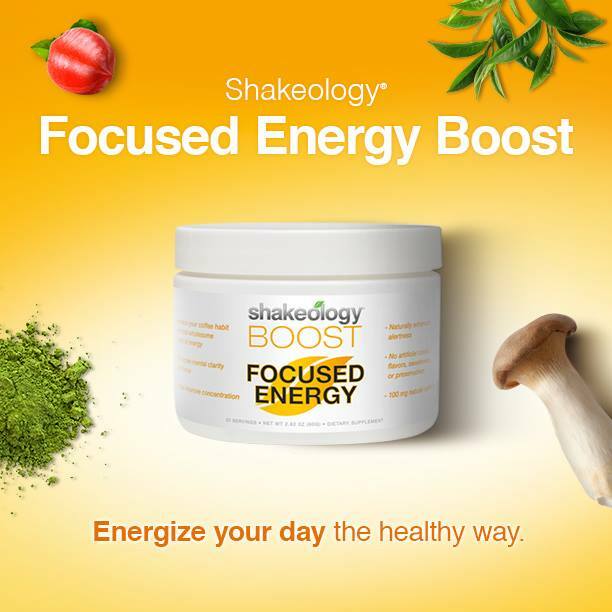 This Boost also supports mental clarity, alertness, and focus. Its always important to know what you are putting in your body... Non- GMO, chemical FREE!! Origin: South America - Guarana is an energizing plant that may help increase mental alertness, fight fatigue, as well as help increase concentration. Origin: Asia and North America - For centuries, Chinese and Koreans have used this ancient herb to help promote vitality as well as mental clarity and memory. Origin: Asia, Europe, and North America - This powerful adaptogen has traditionally been used to ease mental fatigue and enhance the body's ability to cope with stress. Origin: Asia - One of the four medicinal mushrooms included in this boost, lion's mane has commonly been used to help support the immune system, and help improve cognitive functions. 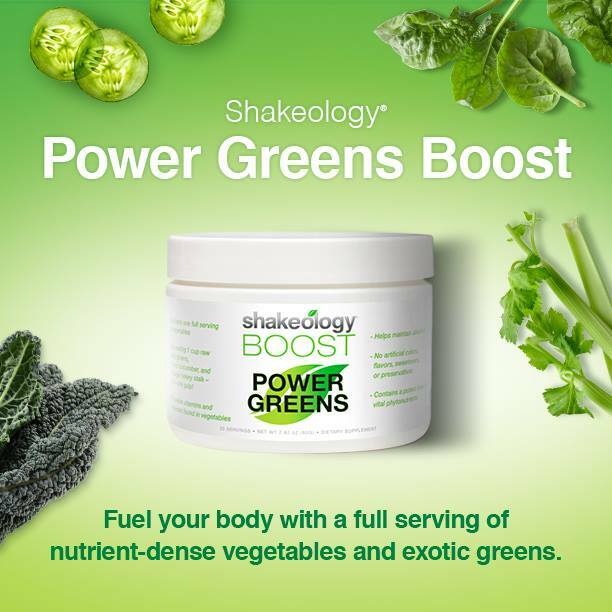 Power Greens Boost contains veggies like cucumber, kale, and spinach to deliver a full serving of vegetables in each scoop. Plus, this potent Boost supports the body's natural acid/alkaline balance. Origin: Europe - Kale is a superfood packed with antioxidants, including 45 different flavonoids and carotenoids. Origin: North America, Asia, and South America - This blue-green algae is high in protein, iron, B-vitamins, and a ton of chlorophyll. Origin: Europe and South America - Chlorella is an algae with high levels of protein, amino acids, and naturally occurring vitamins and minerals. Origin: North America, Europe, and Africa - This dark leafy green contains minerals, vitamins, phytonutrients, and antioxidants. With a unique blend of 7 grams of both soluble AND insoluble fiber packed into every single scoop, this formula stands apart from typical fiber supplements that contain only soluble fiber. This powerful Boost helps support regularity and digestive health. 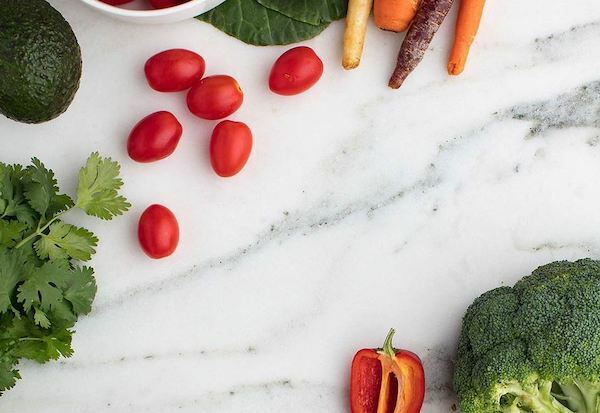 Origin: South America - Loaded with nutrients, antioxidants, omega-3 fatty acids, fiber, and minerals—these tiny seeds are also a great source of insoluble fiber. Origin: Europe - Bursting with insoluble fiber and protein, flax is also one of the richest sources of plant-based omega-3 fatty acids (ALA) in the world! Origin: Asia and Europe - Packed with insoluble fiber, this wholesome source of fiber helps maintain digestive system health and regularity. Origin: Africa and Europe - Soluble fiber from psyllium as part of a healthy diet low in saturated fat and cholesterol may reduce the risk of heart disease. My goal is to mix everything I can in my Shakeology so I get it all in one drink. However, I did use the Energy Boost this morning just mixing it in water, and it has a light chocolate flavor, but I liked it better just in my Shakeology! It gave me a boost of energy, and kept me going for the day without getting the jitters! 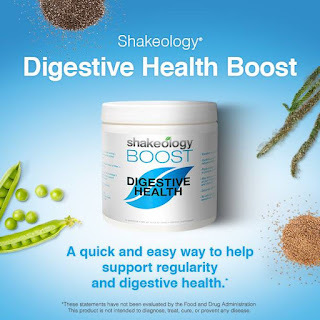 I also had the Digestive Health this afternoon post workout in my Shakeology. I did have to use a little extra liquid since it does thicken a little when mixing it. The flavor of my shake was unchanged. The Power Greens... perfect for people who like juicing, you will love it! Extra greens, extra nutrients. Like putting kale and spinach in Shakeology without tasting them! I probably won't use these every day, but will save them for days when I'm extra busy, and may not be able to eat the right foods, and also while I'm traveling. I think these are perfect for traveling, when I'm not doing the cooking and shopping. These will ensure I'm getting the nutrition I need to keep my workouts and my body strong! *I recommend trying it a few different ways until you find what works for YOU! ** If you are ready to start your journey to a healthy lifestyle and would like 1:1 support, accountability, help with meal planning and daily tips, please fill out my application below for a spot in my next fitness challenge. I will contact you with in 24 hours. Fill out my Wufoo form! I made this salad after buying the cookbook "Inspiralized," a cookbook specifically for spiralized vegetables. To make this, I used my Paderno spiralizer, I bought on Amazon. Before making this dish, I had only used it for zucchini. 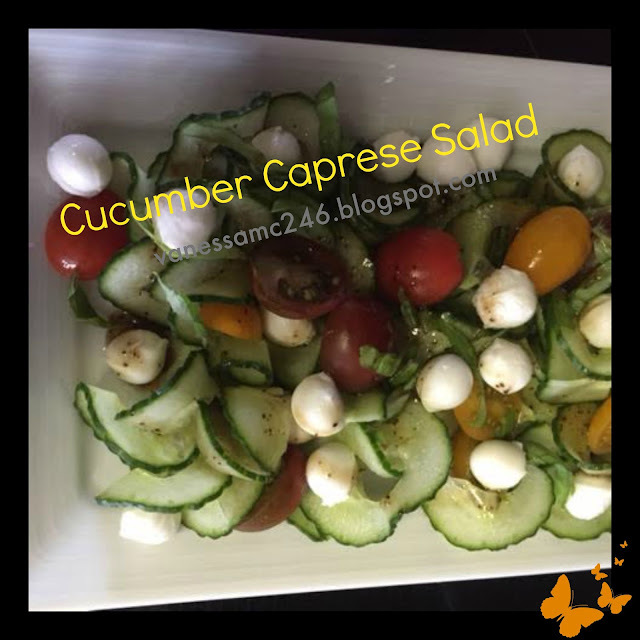 For this recipe, using it with cucumbers made everyone in the family smile! Sometimes it only takes a new shape for food to be a bit more fun and exciting than the same old boring thing. Spiralized cucumbers made a beautiful, refreshing salad with the tastes of a summer garden, that looked complicated and fancy, but was quick and easy! The recipe from the Inspiralized cookbook uses raw zucchini and a different type of dressing, so I changed the recipe, using cucumbers and my own homemade dressing to make this recipe my own. I hope you try it and enjoy it. 1. Spiralize cucumbers in largest size setting. 3. Place cucumbers and tomatoes on serving platter. 4. Scatter mozzarella balls around the salad. 5. Tear basil leaves (I cut them chiffonade style - into ribbons -, although that's not the proper way to prepare basil, because it bruises the leaves, but I think it looks pretty), and sprinkle over salad. 6. In separate bowl, whisk together all dressing ingredients. 7. Drizzle desired dressing amount over salad (you will have left over dressing). I LOVE, LOVE, LOVE birthday cake. The dense, moist, yellow cake, blanketed in sweet, fluffy frosting that come together to melt in your mouth. It's a slice of heaven. My problem, though, is I don't stop at one slice, I have 3 or 4 and before I know it, my stomach feels like the devil came and visited! 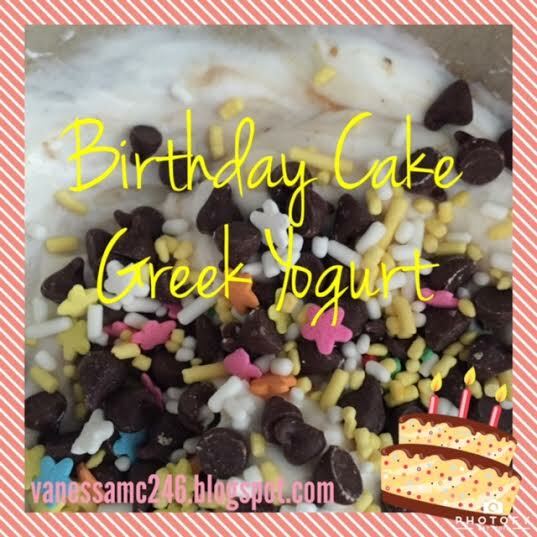 So, I wanted to come up with a dessert, that aligned with my clean eating principles, would satisfy my birthday cake loving tasted buds, and wouldn't derail my meal plan for the week! I follow the 21 Day Fix meal plan, and this dessert fits nicely into my containers! Comment below if you make it, and let me know how your taste buds enjoyed it! 1. Place Greek yogurt in a bowl. 2. Add all ingredients except for sprinkles, and stir together. Summer lovin' let's have a blast! Strong couples have strong muscles. Instead of one person in a relationship getting healthy, and the other person getting left behind, or dragged along, why not get fit together and support each other in the journey! A couples challenge group! 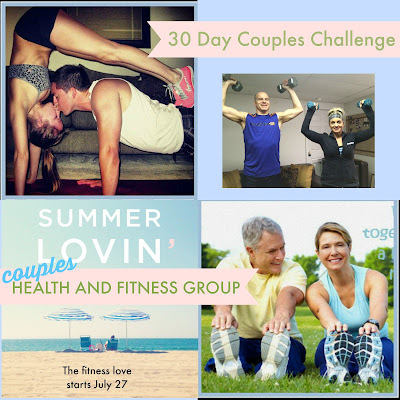 I'm looking for five couples ready to get serious about their health and fitness. My husband and I will be joining them, and participating in the group as well. You can be doing the same program together or you could be doing different programs. I am going to continue with the 21 Day Fix, and he's going to join me. He usually lifts at the gym, but not for the next 30 days! 2. You purchase the a Beachbody Challenge Pack, I'll help you choose the best program for your goals. § Connection between other couples with similar goals! 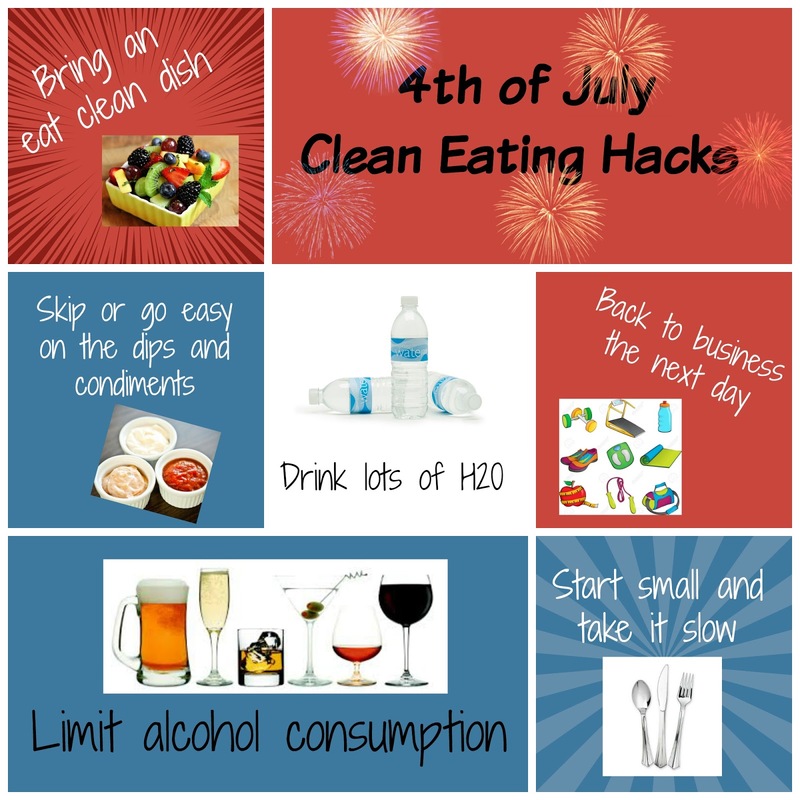 Whether you are looking to lighten up for the summer, fit into some of your formal wear, lower cholesterol or just have the energy to really feel good together, let's do this! Do it for yourself and do it for each other! You will not regret this adventure. And why not have a little extra sparkle between the two of you when it comes time for a sunset stroll? We can be strong together! Fill out the form below to reserve your spot! Fill out my Wufoo form! 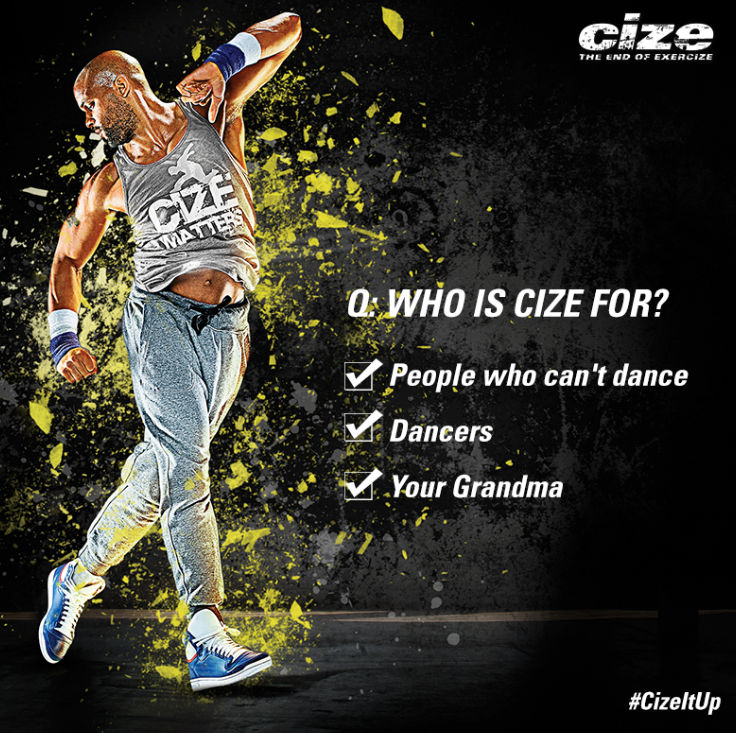 You are officially invited to: The exclusive Cize test group! I love to dance, but my problem? I'm not very good at it! That ends now!! 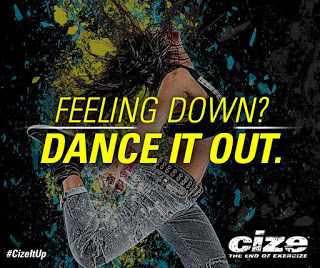 With Team Beachbody newest program release, CIZE, I can workout and learn how to dance at the same time!! The coaches on my team and I will be going through the program for the first time, AND we will taking applicants to be a part of our official test group. 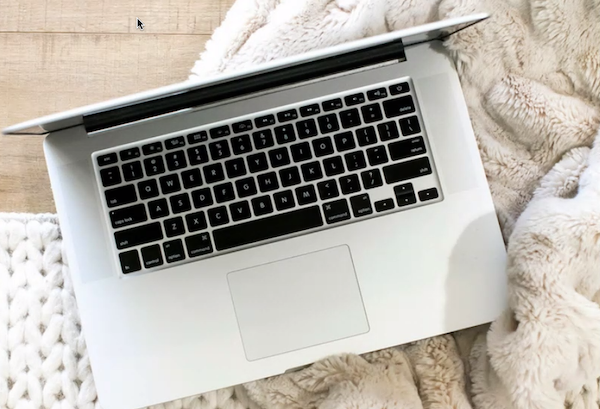 This means, everyone that signs up for more details will have the first opportunity to join our exclusive online test group where we will complete the program together! You’ll get access to my personalized meal plans as well as daily accountability and motivation to help you get MAXIMUM results!! The group will begin on July 27th. It will be fun to experience this program with others who are all doing it for the first time!! The program's creator is Shaun T, you know the same person who created Insanity, Hip Hop Abs, and Insanity MAX:30! He brings a good dose of passion and motivation to his workouts and they are never lacking ENERGY! This new program is going to make the “non-dancers” dance! Shaun T doesn’t believe in the words “I Can’t” and certainly not ending it with DANCE. 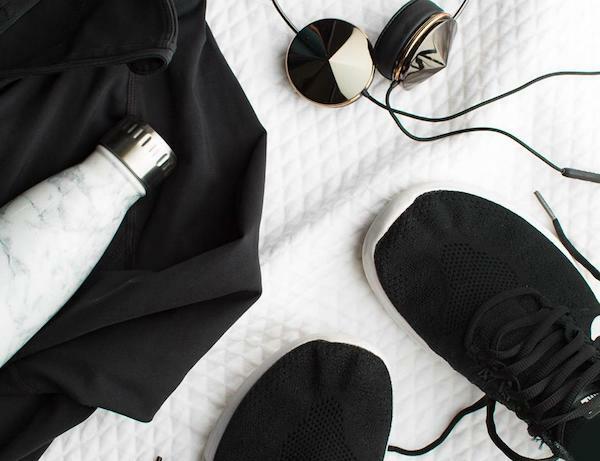 He is going to show you step by step how you can make exercise FUN by incorporating dance moves that leaving you dripping in sweat and with a smile on your face. He is going to teach you choreography so you can have FUN working out and getting in shape while doing so! In each routine, Shaun breaks down the moves step-by-step and builds them into a full dance routine. So even if you don’t know how to dance, you can learn all the moves. 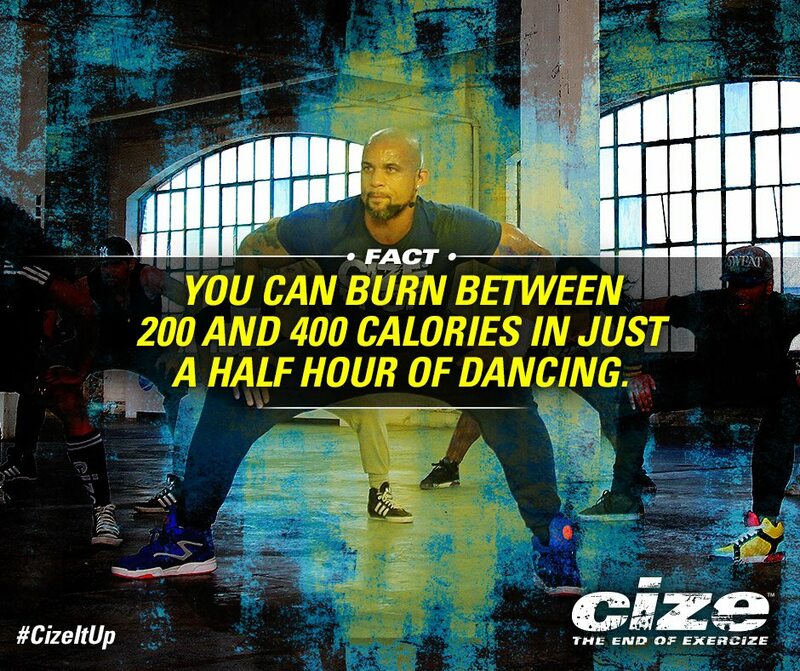 While you are learning to master the dance moves, you’ll also be burning calories and working up a sweat! This workout is for EVERY fitness level. There is no equipment required. If you like fitness classes like Zumba, you will love this workout. It really is something that anyone can do. And don’t worry if you feel like you can’t dance because he will TEACH you how to dance and how to have fun doing it! 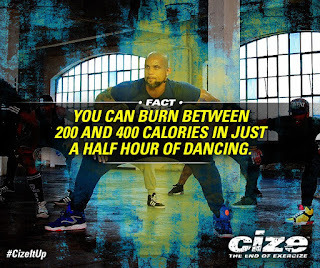 The Cize Shaun T program will be launched on DVD in July 20th, 2015 at the Annual Beachbody Coach Summit! out because you’ll be learning dance moves and having fun while grooving to the beat. Cize will be different than Shaun T’s previous dance workouts like Hip Hop Abs and Rockin Body. The music and moves are all brand new and have all been updated to be more current with today’s style. Cize is all about the music!! In addition, Hip Hop Abs was not really focused on teaching you choreography. Shaun T is really focusing on showing you move to move, piecing it all together into a great routine for anyone to do! Beginner: You don't love anything that feels like a workout, but you also wouldn't call yourself a dancer... (unless it involves a couple of drinks at your best friend's wedding). These participants are new to working out or haven't worked out in awhile and are looking to begin a workout and nutritional plan. The goal of this program is weight loss, lower blood pressure, and learn more about healthy living, but to stick with it, IT HAS TO BE FUN! These participants will be following the beginner portion of the program. These participants will be working exclusively with me! Advanced: These participants have some background in dance and are ready to move at a faster pace. It's easy for you to pick up choreography, and you love the challenge of a new program! You are looking to dust off your dancing shoes, lose weight, tone up, or get back into working out! You need your workout to be FUN! You will be working with a trained dancer, Taylor Molitierno, to really focus on the mastering the moves and your nutrition! Fill out this form to be a part of my team's exclusive test group!! 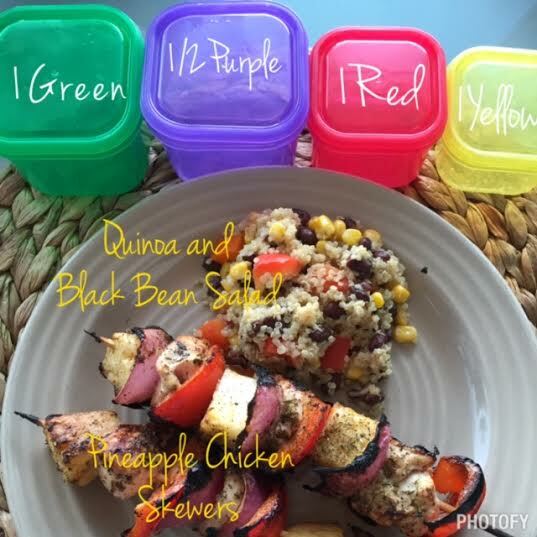 The container equivalents in the photo are for BOTH the Pineapple Chicken Skewers AND the Quinoa Black Bean Salad. The individual container equivalents for each recipe are listed alongside the recipe's nutritional information. 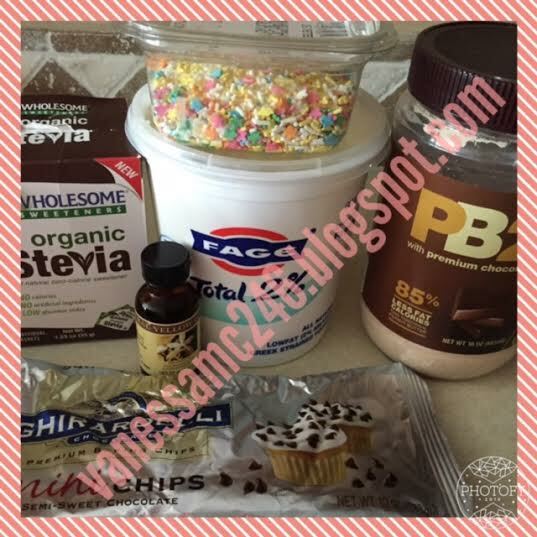 I made this recipe from the new 21 Day Fix FIXATE cookbook! It's a preview recipe, as the cookbook launches on July 14. I served the Quinoa Salad alongside the Pineapple Chicken Skewers, also a recipe from FIXATE. My son who has never eaten quinoa, loved it, as did my husband! The whole meal pleased ever member of the family, AND both recipes are gluten free, dairy free, egg free, and YUMMY!! If you make it, I would love to know what you think! Consider making this at the beginning of the week and adding it to lettuce or adding a protein to it for additional meals. 1. Combine lime juice, cumin, and salt in a medium bowl;whisk to blend. TIP: This salad is delicious when eaten immediately. It holds well, refrigerated, and can be eaten for 2 to 3 days. I served this with the Pineapple Chicken Skewers. Pineapple Chicken Skewers - FIXATE style! Autumn Calabrese, the creator of 21 Day Fix and 21 Day Fix Extreme, wrote a cookbook called FIXATE, scheduled to be released on July 14, ONLY to Team Beachbody! The greatest feature of this cookbook: It gives the container equivalents for each recipe!!! While it launches in seven days, in the meantime, five preview recipes have been released! I made two tonight, (a main course and a side dish) which made a full dinner for the whole family, AND everyone enjoyed them! I made the Pineapple Chicken Skewers and the Quinoa Black Bean Salad, both of which are gluten free, dairy free, sugar free, AND egg free. I refuse to make separate dinners for everyone, and it's tough to please everyone, but this dinner did! This was a WIN for mom! Prep Time: 20 min. Cooking Time: 10 min. 2. Place chicken in resealable plastic bag (or container); add soy sauce, oil, and ginger; seal bag and shake gently to mix. Refrigerate at least 30 minutes to marinate. 4. Place a piece of chicken, pineapple chunk, bell pepper, and onion onto a skewer. Repeat, so the skewer has two pieces of each ingredient. Repeat with seven remaining skewers. Discard marinade that contained chicken. 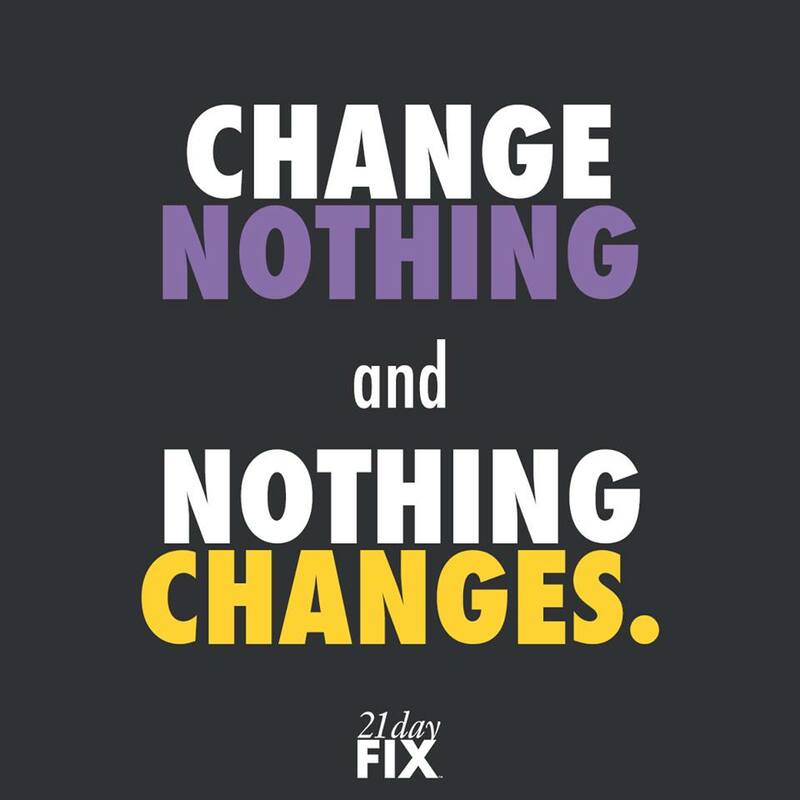 Without a doubt the list below includes the most commonly asked questions I get about the 21-Day Fix. It's one of the easiest programs to follow, the one I keep going back to, AND the usually the first program for most of my challengers! After completing a few rounds of this program, I see and think about my food in color coded containers (I can visualize recommended portion sizes) and I love helping others do the same. The general rule of the 21 Day Fix nutrition portion is “If the food is on the list and it fits in the container you can eat it.” However, sometimes it's not so black and white, and a few foods have updated info. Here, I’ll clarify some of the info about certain foods and answer the questions I commonly get her Youtube channel! 1. Should I prepare separate meals for the rest of my family? This is not a plan that makes more work for you! Why would you feed yourself healthy foods and the rest of your family unhealthy foods??? Autumn hits the nail on the head with her Answer. 2. How to count PB2? While PB2 is lower in calories, all natural organic Peanut butter is a whole food and better for our bodies. It's creamier and tastes better. Whether you eat REAL peanut butter or PB2, either way – count it as a teaspoon. See Autumn’s full response HERE. 3. Can I eat Quest Bars? If its not on the list – you can’t eat it!!! While they are not the worst thing you could eat, they’re not the best thing either. If you’re absolutely in a bind, okay, use sparingly, count as a treat (not red or yellow) but otherwise try making your own like these HIGH PROTEIN PEANUT BUTTER BARS. These are one of the easiest “on the go” meals you can stash in your purse. However realize since they are more natural their shelf life is much shorter than others that are loaded with preservatives. Here’s the thread Autumn responded to on her Facebook page. 4. Why not almond or coconut milk? The initial reasoning behind the limitations on the almond milk per the nutrition guide was because in general you don't want to drink your calories! However Autumn did do an update in the Spring of 2015 where she shared that she will personally use up to 4 oz. of unsweetened almond and/or coconut milk and does not count it as a container. So for all you almond milk in your Shakeo lovers out there, no more wasting yellows on the milk! About four egg whites fit in one red container. However from a serving size perspective and caloric equivalent four egg whites count towards half a red. Also, for most people the body can only process 20 grams of protein in one sitting. One egg white has about five grams of protein, so do the math. 6. How about coconut milk yogurt? Given that there is no protein and 12 carbs Autumn believes this should be counted as a yellow and not a red (as greek yogurt is. 7. Can I eat popcorn while on the Fix? YES!! 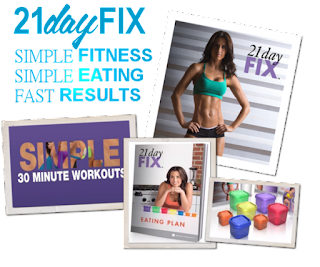 If you're a popcorn lover like me, you’ll be a-okay on the 21-day fix!!! Three cups of popped popcorn = 1 yellow. Talk about a hearty snack!!! Thank goodness, because I am a popcorn lover! This does not include movie theater popcorn!! Maple syrup, raw sugar and honey are covered on page 15 of your Nutrition Guide. Yes – If its all natural and organic – count as tsp. Check out the full Answer. 10. Why are peanuts blue AND orange? Ahhh – this one got me for the longest time. It comes down to chopped vs. whole. As always – CHECK WITH YOUR DOCTOR FIRST – but yes, the low impact workouts are totally safe while pregnant and the meal plan is simply whole, natural foods – healthy for EVERYONE at every age – but ALWAYS check with you doctor first. Same initial response as above. Check with your doctor!!! 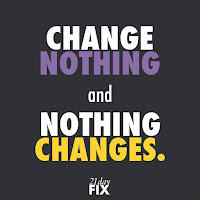 But my sister was breastfeeding when I started the 21-day fix and it was completely doable and her doctor agreed! However, breastfeeding mammas do need more calories and may need to bump up a bracket. As a general rule add about 300-500 calories to your daily caloric need that you calculated and follow the portions. Here’s Autumns full response Answer. 13. Can I drink Shakeology while doing the 3 Day Quick Fix? While I hate going without my Shakeology, if you’re going to end the 21-day fix with the 3-Day Quick Fix then you must follow the plan exactly, which means NO Shakeo! Save it up and make some Shakeology mug cake or peanut butter cups for when the three days are over and resume on your second round! 14. I'm still HUNGRY!! What can I do? If you’re ‘starving’ after a few days you may need to re-evalute. If you’re super active at work, chasing kids, have long days, etc. you may need to follow adjust and try the calculation on page 76 of the guide. We are all different and react differently and listening to your body is important! Same thing goes for those of you who may not be able to finish your meals. 15. Should I change my calorie bracket when I can’t get workouts in? It depends. This is a lifestyle, a habit. NOT a diet that you do temporarily. 16. How do I change My Fitness Pal to be a 21 Day Fix container tracker? From a computer, login. Settings > Diary Settings — change “Meal Names:” to container colors. 17. How frequently should you do the 10 minute AB workout? Abs are a tough muscle to exhaust. Per Autumn, you could do the 10-min ab fix daily but recommended to do at least 3-4 days a week to maximize your results. 18. How do you schedule the double workouts? Doubles week is recommended during days 15-21. It is recommended to do the workouts at 2 separate times of the day to maximize your metabolism and allow your body to rest in between as well as burn more calories. That being said if you can’t get them in at two different times, you can do them back to back. 19. HELP! I’m at a plateau – what do I do??? Eat from the top half of each list. The lists are organized in a hierarchy with the most beneficial at the top. 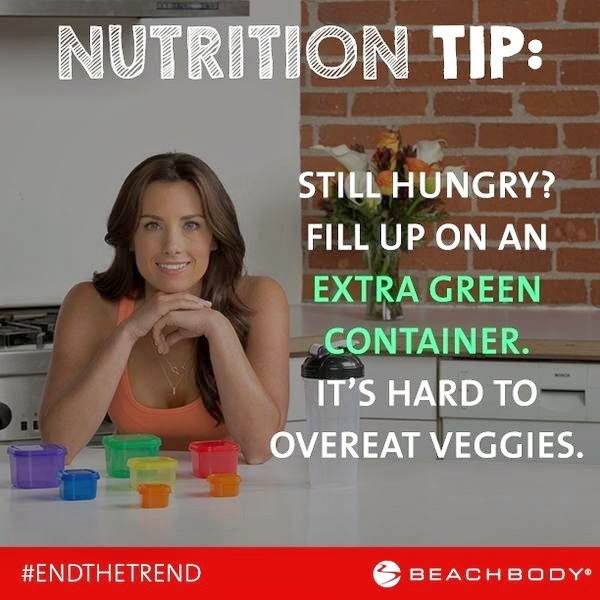 For example looking at the greens you’ll see spinach at the top and while all veggies are “good” for you – those at the bottom of the lists certainly provide fewer benefits! Add in the doubles week every 3rd week. This will switch things up a bit, add some extra calorie burn and jump start that metabolism for a second time during the day – maximizing your results! Or you can switch workout programs. Whether its a switch over the Extreme or something like PIYO – keep your body guessing! Start your day with a workout!!! Set your alarm 30 minutes earlier – get up – drink a glass of water or E&E and get grooving! Eat different foods. I am a creature of habit – I tend to eat the same things each week but peridically I will change things like removing my Greek yogurt bowls for a week or two and replacing with hard boiled eggs and fresh fruit or swapping quinoa for sweet potatoes or chicken for fish, etc… Your body gets used to the foods you’re fueling up with. Stick within the range of highly beneficial foods – but switch them up from time to time. This will keep your body guessing and results coming! I hope you all found this list helpful! If you have a question that you didn’t see answered within please post in the comment section and I will do everything I can to find you an answer and update as we go! I am a firm believer that anyone at any level can get amazing results with this program IF you’re willing to work for them! This is NOT A DIET! This is NOT STARVATION! It's just simple, easy, healthy LIVING! 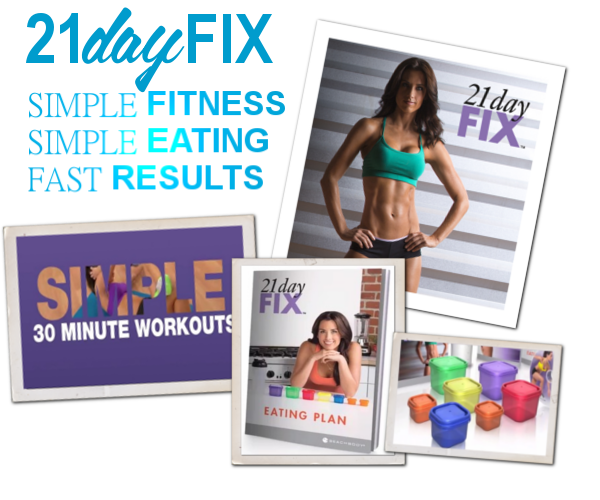 Also, a new cookbook for the 21 Day Fix and 21 Day Fix Extreme is launching next week. 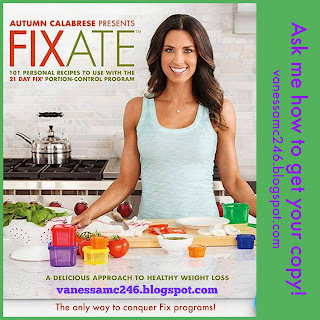 Autumn FIXATE and it will be available in this month, but only through your Team Beachbody Coach! If you don’t already have a coach, you can create a free Beachbody account and be on the list for the first to know how and when to purchase it! I will be giving away 3 copies in a special offer. One of the first steps towards a happier and healthier lifestyle is realizing you’re ready for a change. But you don’t have to tackle it on your own! I run accountability groups monthly to help others reach their health and fitness goals with that one key aspect that so many are missing…SUPPORT!!! If you’d like details on joining – fill out the application below! 6 Eat Clean Hacks for the 4th!